I decided to bike around and look for trash while there was still light out. It was cold and quite windy. Biking was a bit intense – I basically added a bunch of windchill to an already cold day. I also don’t have the gear for this kind of cold. Regardless I did survive and salvaged a couple of small things. 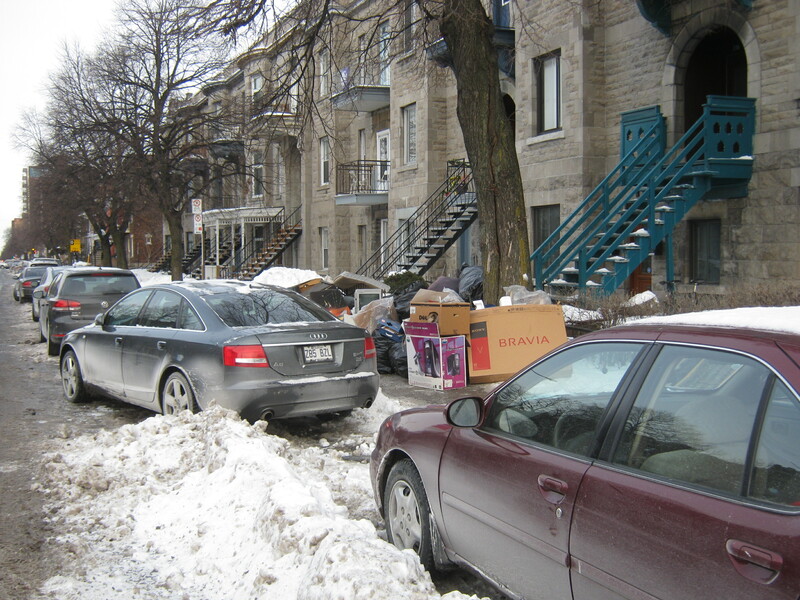 I saw this big pile of stuff on St Joseph. Big piles are always worth at least a quick look. This specific one though wasn’t particularly interesting. Mostly old furniture and clothes. I wondered if maybe bedbugs were to blame but I got the impression that the person just moved away. 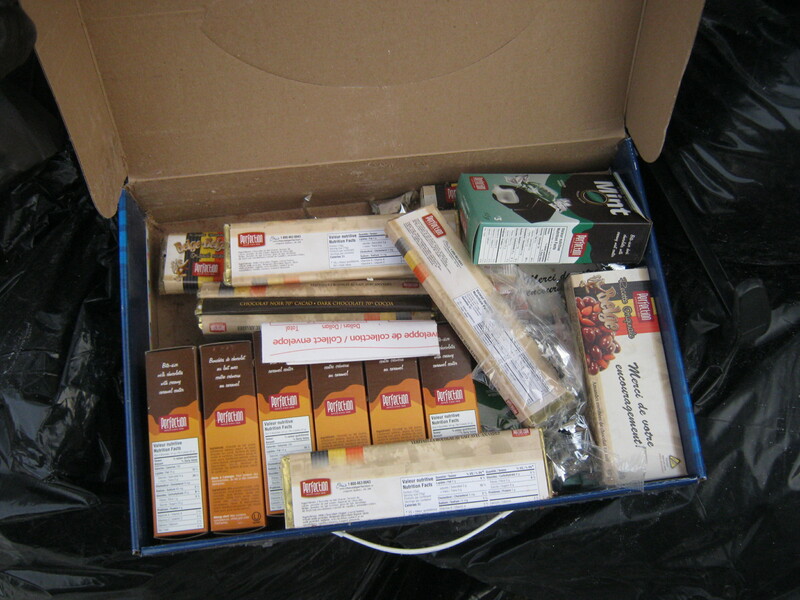 There were two full boxes chocolate – the kind that kids sell to support charities. It looked pretty old, however, and possibly moth-infested. 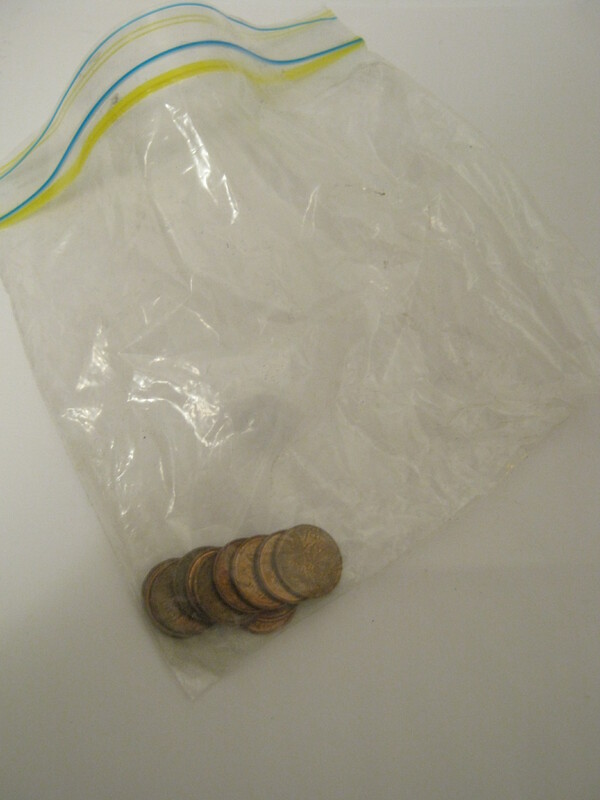 …other than this ziplock bag with 13 pennies in it! I’m going to try not to let this go to my head. This little pile featured an old busted up couch. People sometimes break apart a couch when it’s flimsy and it’s just easier to “deconstruct” it than to move it down the stairs. I know this from experience. 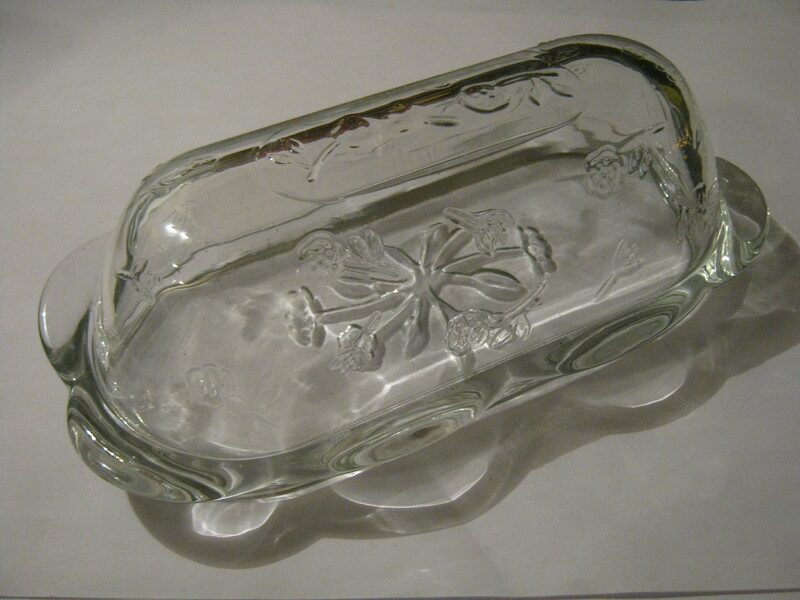 In one of the bags I found this cute little butter tray. No cracks, chips or anything. I’ll probably actually use this for my butter at home! 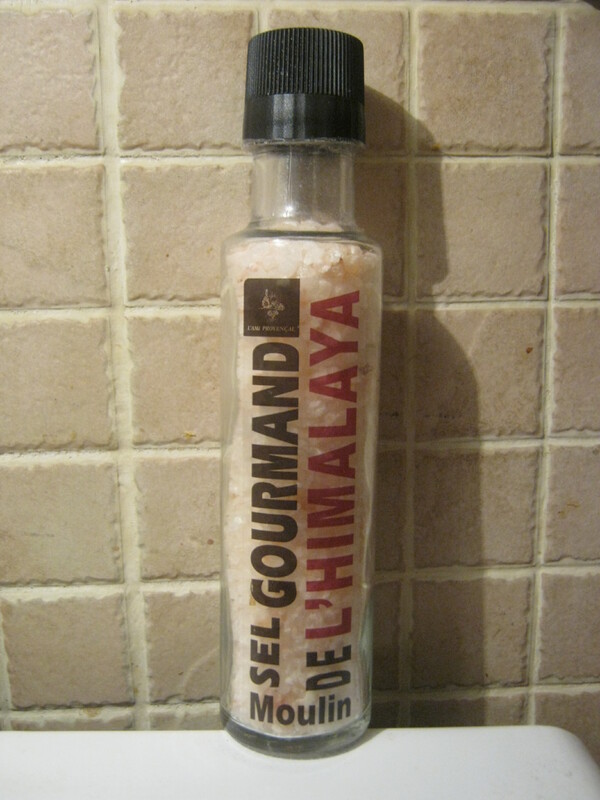 In the same bag I found this nearly full container of Himalayan salt. Many of the rocks have a nice pinkish hue. I think this stuff is a bit more expensive than usual sea salt. It’s pretty well sealed and expires in 2014 (not that salt can really go bad). I always love finding fancier foodstuffs. That’s an interesting butter dish. 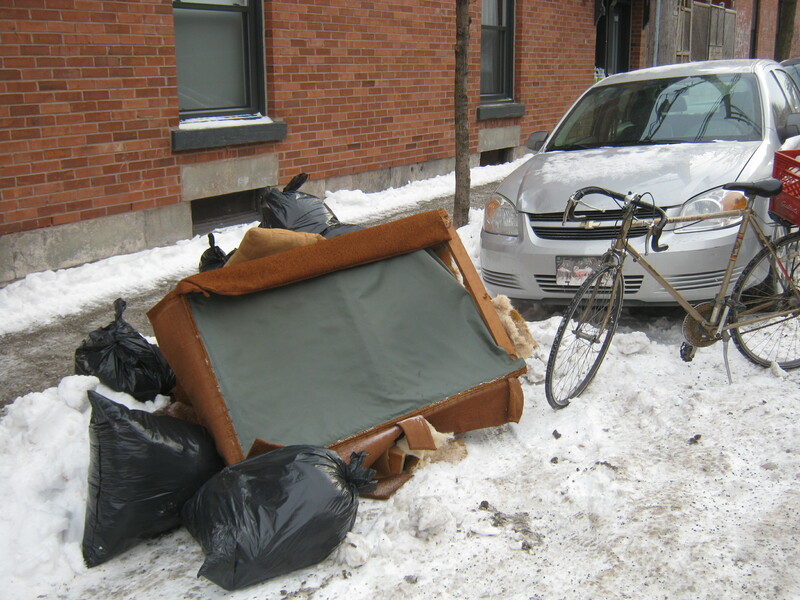 The temperature on Tuesday and Wednesday will be well above freezing.I hope you will take advantage and look around in the trash then.When will you be checking out west end anglo Montreal–Shaughnessy Village,NDG,Westmount,Griffintown,etc.? It is wrong and illegal to pick up things lying around on the sidewalk unattended for a few minutes if someone is moving or if someone is waiting for a truck.It is Ok to take stuff put out with the trash on the night before garbage pickup day or on the morning of garbage pickup day.Some people steal others’ things in error ,thinking they are abandoned.It does not happen often,but still it has happened.It is very important to highlight this.I am sure you have thought about it? Tough to say. I’ve been doing this long enough that I think I’d know intuitively when something’s not quite right. It also helps that I’ve done a lot of work with moving companies in my time! I think that people moving should also leave signs or at least keep an eye on their stuff to avoid confusion. I read in the introduction of your wonderful blog that as an anglophone university graduate in sociology,you have difficulty finding a well-paying job.Your blog is wonderful and very creative.Keep it going part-time,even if you find a well-paying job.Now just to tell you—a lot of unilingual anglophones and allophones are prospering in Montreal.Either they have strong technical skills or business skills or family connections and networking.A lot of unilingual anglophone artists and writers live well in Montreal—there are a lot of small English magazines and newspapers in Montreal;also English bloggers do well in Montreal.Maybe as an anglophone you will not get work in the public sector.However,you can still do very well.So don’t leave Montreal,stay here for good.Keep this blog going.It is inspring.